Another first in the local smartphone game! Cherry Mobile has been a pioneer in many ways. The first most affordable dual core smartphone – Cherry Mobile Flare, most affordable quad core processor – Cherry Mobile Flare 2.0 and the most affordable smartphone with 1GB RAM – Cherry Mobile Flare 2X. Now, Cherry Mobile has the most affordable smartphone with a 12 megapixel camera and HD screen – the Cherry Mobile Apollo. The price – P6,999 only! Very impressive specs! 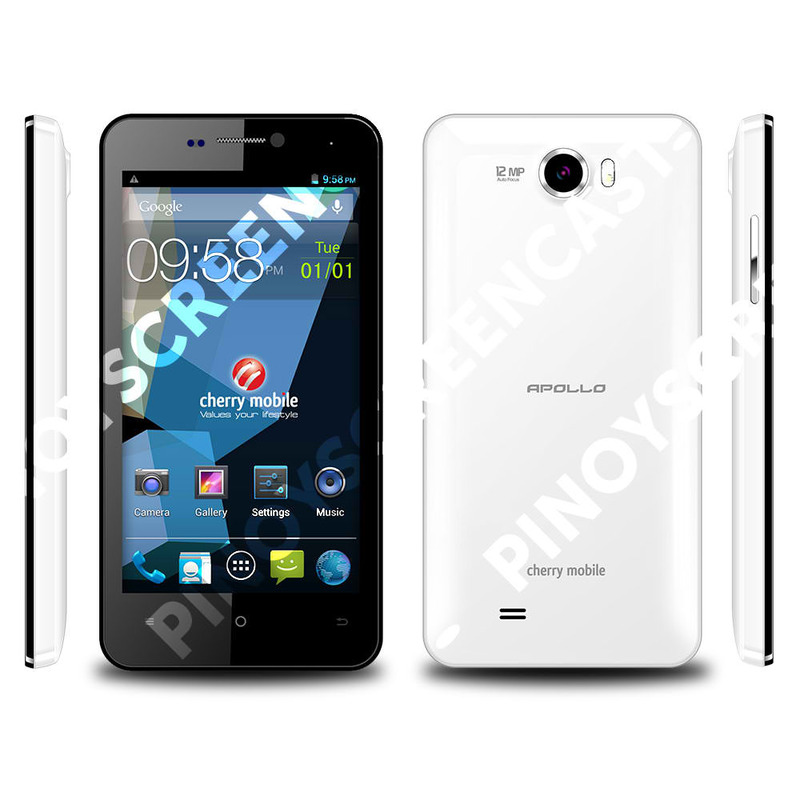 There are reports that the Cherry Mobile Apollo is already available at their store in SM North Edsa. Guys, would you buy one? Next articleCloudFone Thrill 530qx Smartphone With A Monster 4,500 mAh Battery Now Available For P9,999!